As this is meant to be a “Wordless Wednesday” post, I’ll let someone else do the talking here! 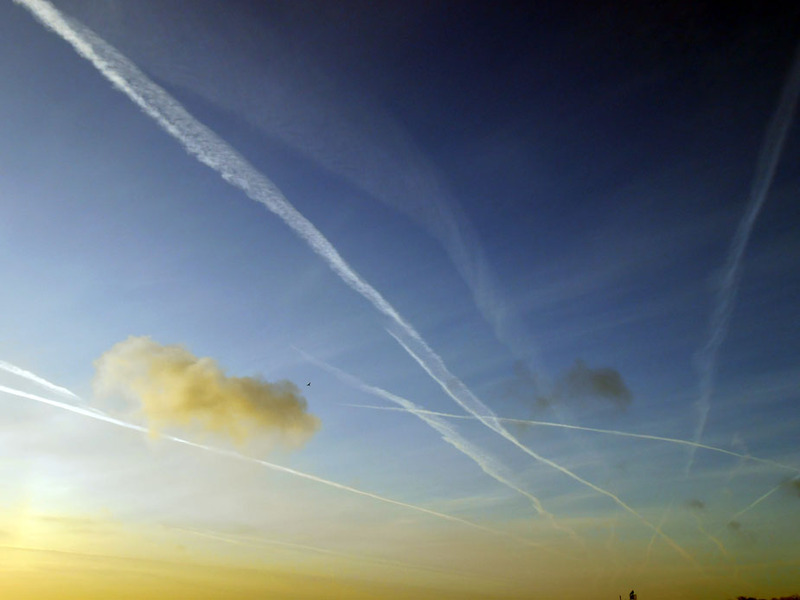 You might like to click on NASA’s link Contrail Science to learn what they have to say about this form of air pollution. My eyes were a bit sore, but nothing else. Someone who works as a coast guard said they saw a yellow bank of smog off-shore. Mister reckons this is what I’ve caught on camera in my first picture taken that day. It looks like the sky at sunrise but it was taken about 2 hours after that. Who knows? There I was concentrating upon high-up pollution, when there was some right under my nose! I know the smog didn’t effect us as badly as they predicted, but decided to have a go at London instead. 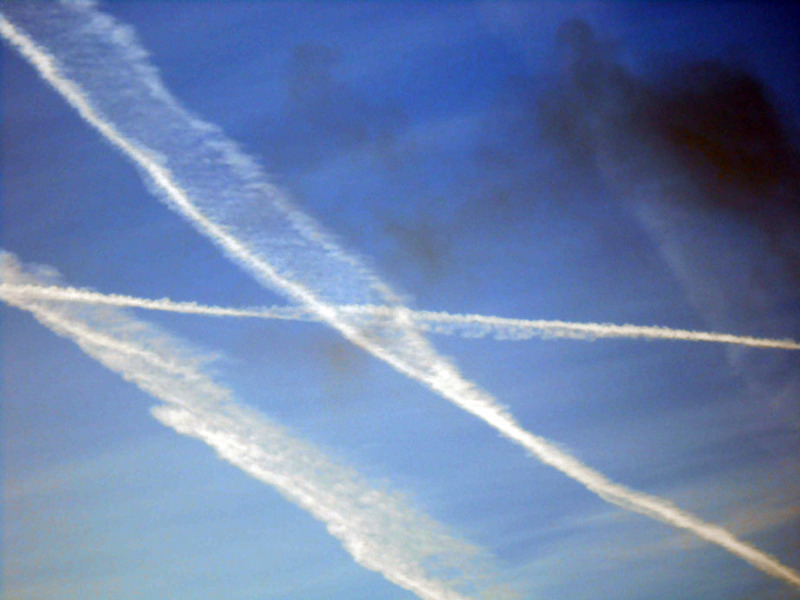 Funnily enough I never thought of contrails as pollution, probably because they’re usually so pretty! They hide their true nature behind an appearance of purity, even inducing a great sense of calm in their observers. If they were a dirty grey, rather than virginal white, then everybody would know their true colours! argghh indeed — the bliss of such moments prior to some meanie like me de-romanticising them 😉 It really is a very good-looking sky.